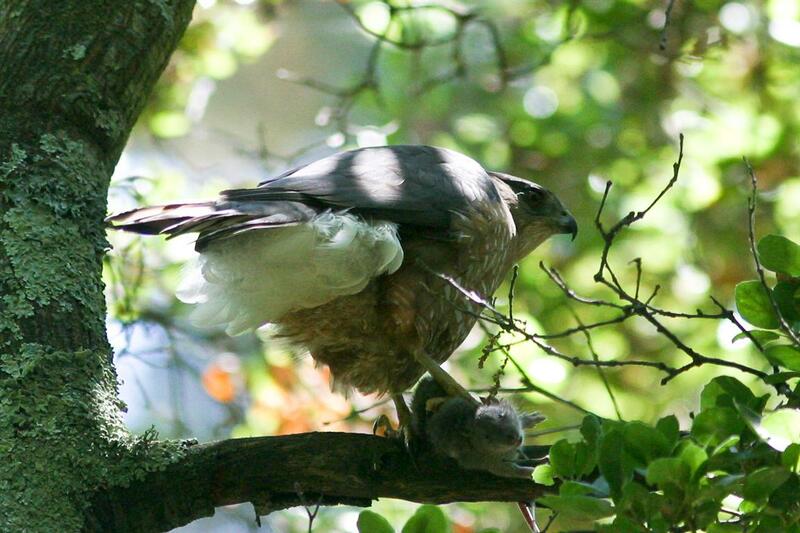 Not only are hawks and owls beautiful to see but they also provide essential environmental services for us by consuming rodent pests. Unfortunately each year hawks, owls and other non-target animals (including pets and other wildlife) become sickened and may die from exposure to rat poison. This is because mice and rats eat the rodenticide(poison) and then become sickand lethargic. The hawk or owl sees an easy meal but when they consume the poisoned rodent they too are poisoned. This secondary poisoning is harmful to our environment and fouls the entire food chain. Fortunately there are solutions. If there are rodents, first remove their access to food. Second, seal any openings to your home, business or other buildings. Then use appropriately sized snap traps inside a bait box. Or hire acompany that does not use rodenticides, there are several companies in the San Francisco Bay Area including The Hit Men, Pestec, Sieg’s Abatement Service and Rat Patrol. Clean up – Remove any sources of food or water. This includes removing bird seed, ripe fallen fruit, pet food, and other food sources. Also remove materials that can be used for rodent nesting including shredded paper. Put an old shower curtain under bird feeders for easy cleanup and take these indoors at night. Exclusion – Seal up any entry holes or access points near pipes, doors and windows where mice or rats can enter a building. Seal any holes bigger than a dime. Put an old shower curtain under bird feeders for easy cleanup and take these indoors at night.